Except that in reality, there was no such suspense surrounding the publication of the report; it had already been released. The New York Times had just spectacularly failed to do its homework. I quickly found this out when I searched for more information on the report that hadn’t been aware of. In fact, the report has been available and open to public comment as of the end of last year and can be downloaded in its final draft here. 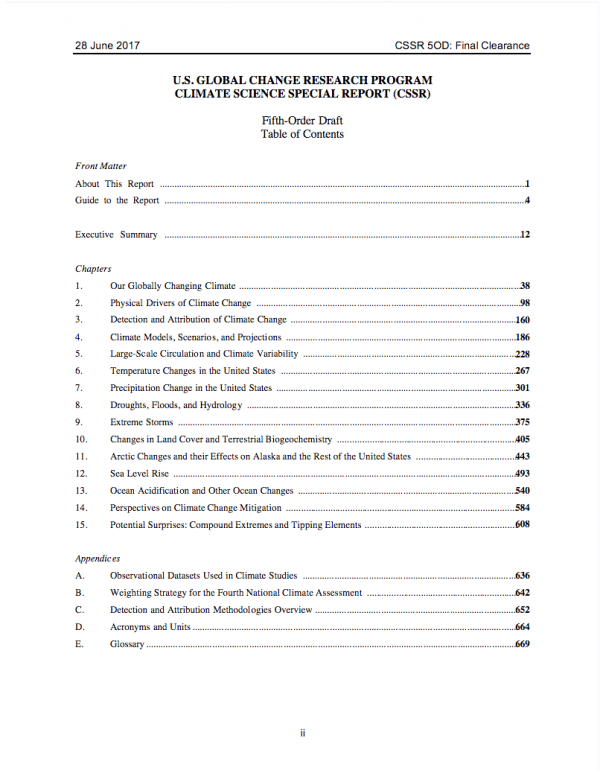 The report is long (close to 700 pages) but I’m including the Table of Contents and some of the background of its publication for your reference. 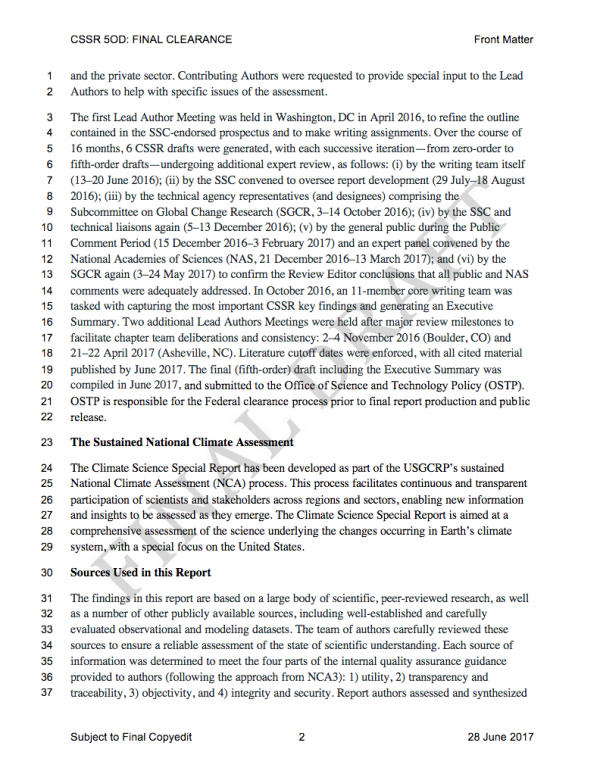 The report is certainly up to date regarding the extent of climate change, future forecasts, and evidence of the key role that humans are playing in the process. 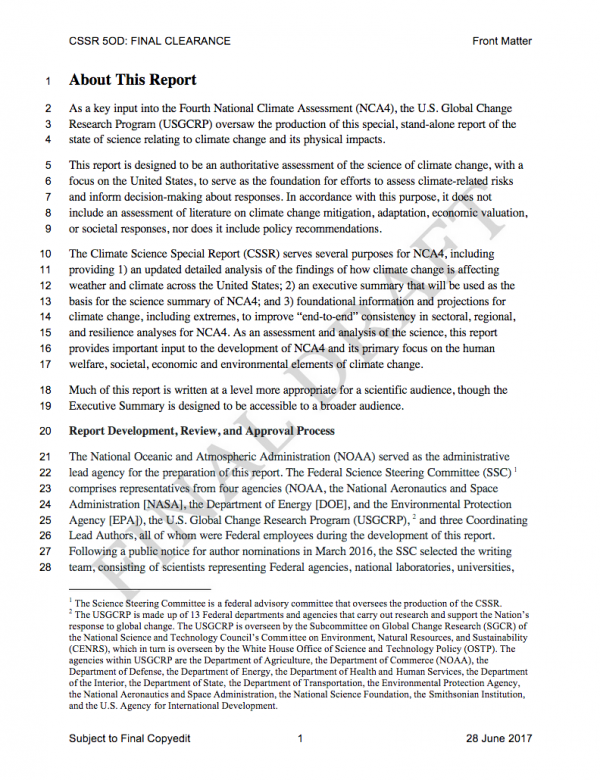 It seems counterintuitive that this is an official document of the US Government issued under the same administration that claimed climate change was a Chinese Hoax and that just removed our country from the only international agreement to try to mitigate the human impact on the problem. As I said, the report was opened to the public before the new administration took office. 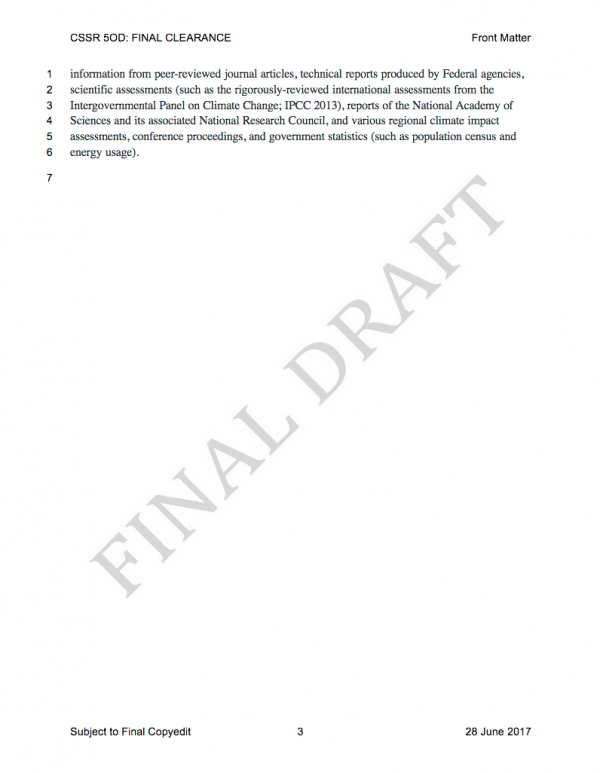 This week the White House Office of Science and Technology must decide whether to approve the final version. The White House has plenty of time to insert its own perspective. This entry was posted in Anthropogenic, Climate Change, IPCC, UN and tagged Adaptation, administration, China, Climate Change, Climate Change Denial, Climate Change Deniers, climate science, Climate Skeptics, Donald Trump, Environment, fake news, Fossil Fuels, Global Warming, Government, jeff sessions, leak, News, nrcs, Paris 2015, Paris accord, Paris Agreement, Report, Science, scientist, Trump, UN, US, vocab, vocabulary, Weather, weather extremes. Bookmark the permalink.